In my previous post, I briefly talked about Organique by Olinda Spring and their ongoing promotion. Just a recap, Organique uses its famous 100% natural Olinda Spring Water from Mount Dandenong that is rich in trace minerals as their ingredients. This water is known for its skin healing properties. More than 95% of the Australian native ingredients in their products are organic, natural or naturally derived, such as Organic Macadamia Nuts, Lily Extract, Quandong Nuts, and Desert Lime. Organique originates from Australia. Now, let’s get deeper into the products. The more you know, the more you’re gonna love them! I reckon that this Organique Lavender Lover Set is a super perfect gift idea for mummies, so I decided to gift this to my mum too! 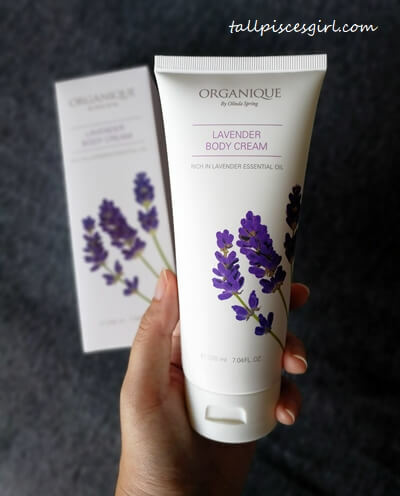 Organique Lavender Lover Set is packaged beautifully in a box and contains 2 amazing products: Organique Lavender Hand Cream (75ml) and Organique Lavender Body Cream (200ml). Aside from the neck, people said that your hand can also reveal your true age. OMG, I’m sure your mummy doesn’t want that. Previously I didn’t take care of my hands too but lately I’ve been starting to use hand cream because I want people to feel a soft hand when shaking hands with me! Organique Lavender hand cream is rich in Lavender essential oil that can deeply hydrate dry, matured skin. Plus, it doesn’t feel oily after application. 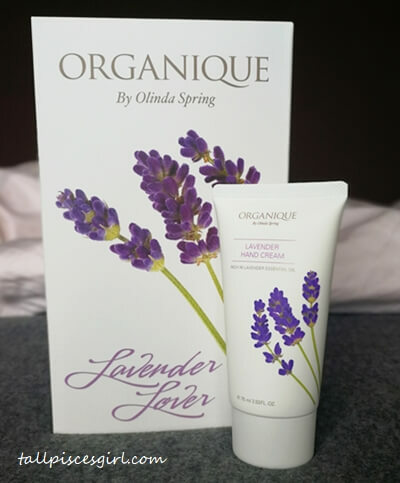 Apply a generous amount of Organique by Olinda Spring Lavender Body Cream and you’ll feel the luxurious body cream restoring the smoothness of your skin, just like a baby. Olindum complex infuses with natural Olinda Spring water and lily extracts to deliver anti-oxidants and trace minerals that effectively repair, revitalize, soothe and protect the skin. When the shea butter in the body cream seeps into wrinkles, it will nourish the skin and make them less visible. Apart from this, I personally think that the Lavender scent will help mummies with insomnia to sleep better. Wait no more! 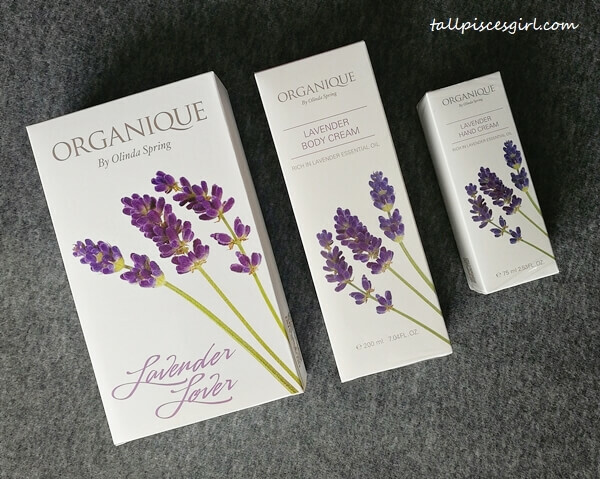 Order Organique Lavender Lover Set from Lazada: https://bit.ly/2IZTQuu now so it can arrive by Mother’s Day! Each set retails at the price of RM 98. 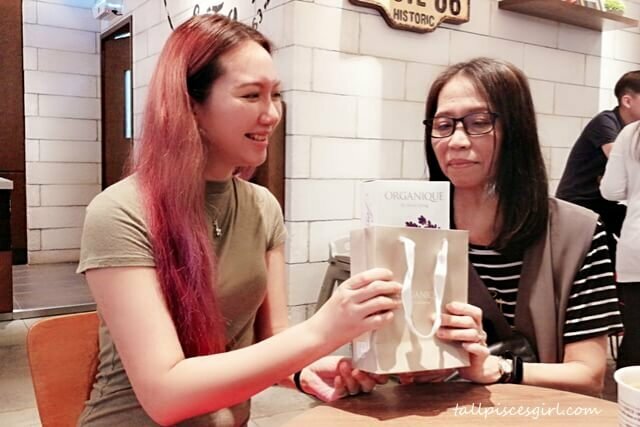 For more information on Organique by Olinda Spring, kindly visit their website: https://www.organique-skincare.com.my or Facebook Page: https://www.facebook.com/OrganiqueSkincareMY or Instagram: https://instagram.com/organiqueskincaremy.